Google already rolledout the first and second developer previews of Android 8.1 Oreo and is going for the consumer release of Android 8.1 in a few hours. In an announcement of Android Go, the Search Giant said that the Android 8.1 final version will be released on tomorrow. Already some Nexus 5X and 6P owners have tried the two developer previews of the update and are waiting for the final rollout. The tech enthusiasts can download the factory images of Android 8.1 from the official Factory images website, in a few hours. The version number of this update is OPM1.171019.011 and it contains two security patches dated on 2017-12-01 and 2017-12-05. Google fixed many security bugs along with 48 additional bugs. As the OTA will take place in phases, users have to wait patiently to download the update. Otherwise, OTAs of Android 8.1 has gone live just now, so users can download from here. Once the update notification appears, Nexus 5X and 6P users can download the update and install it to enjoy the latest android features. We recommend to charge atleast upto 80% and connect to a good Wi-Fi network or Mobile Network before downloading the update. 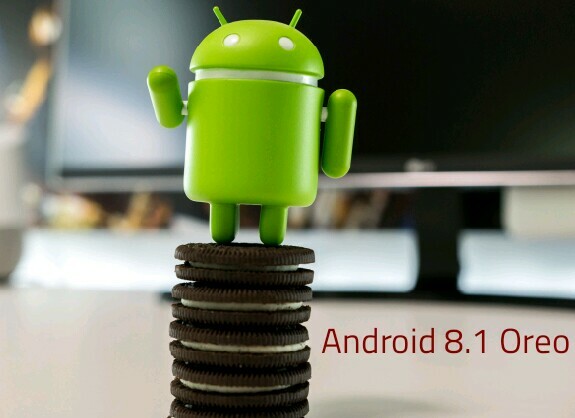 Android 8.1 is the first maintenance release (MR1) for Android Oreo and is an incremental update. Google increases the API level to 27 in Android 8.1. The awesome features of Android 8.1 include Neural Network API, Bluetooth Battery levels, Redesigned Power menu and battery section in Settings and many more. In the second developer preview, Google fixed the Hamburger and Beer emojis and also activated the Pixel 2 Visual Core. There are some under the hood improvements to Autofill feature which was introduced in Android 8.0. In Nexus 5X, the issue of not playing audio through speaker has also fixed in the latest update. Android 8.1 is a great update comprising of bugfixes, improvements and a bunch of awesome features. The update also includes fixes for recently discovered security vulnerabilities. So we strongly recommend the Nexus 6P and 5X users to upgrade to Android 8.1, once the update notification arrived. Feel free to share your Android 8.1 experience with us. It seems that the Android 8.1 update brought a bug which annoys users very much. Based on reports at Google product forums, Android 8.1 contains a bug which causes swiping issues on lock screen. A large number of Google Pixel and Nexus users are affected by this bug. Google says that they are looking into the issue. So a patch to the Swipe bug may arrive in coming days. In Google Pixel and Nexus 5X, 6P devices which got the Android 8.1 update, users are unable to unlock because lock screen is not responding to swipes. Multiple swipe ups are required to unlock the device. So the Android 8.1 partially ruins the user experience, despite the buttery smooth scrolling. More details about the patch will be revealed in coming days.